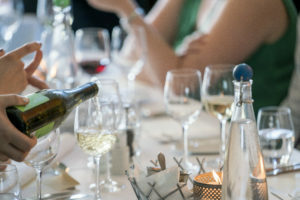 What If I Have a Personal Injury Accident During a Charlotte Holiday Party? Home > News & Resources > What If I Have a Personal Injury Accident During a Charlotte Holiday Party? The holidays are a time for parties and plenty of fun. But, with inhibitions lowered, a personal injury accident in Charlotte, North Carolina, could always take place and lead to personal injuries. You may have gotten hurt at a friend’s house and are now wondering how you can cover the costs of your medical bills and lost wages. Under the law, you may be able to file a personal injury lawsuit against the host of the holiday party should an accident occur. Just like any other time of the year, when you are at a friend or loved one’s house, they are the property owner and need to ensure your safety while you are visiting. It is the responsibility of your party host to provide a safe environment for you to enjoy yourself. If their property is improperly maintained or has hazardous conditions that caused a personal injury accident, you have a right to seek compensation. Speak with a personal injury attorney in Charlotte, North Carolina, today to determine if you have a personal injury case that deserves a settlement. What Should I Do After a Personal Injury Accident in Charlotte, NC? There are a myriad of personal injury accidents that can occur at a holiday party in Charlotte, North Carolina. If you are hurt, you need to seek medical treatment immediately. It is better to treat your injuries than have them get worse by waiting for medical care. If you have been hurt in a personal injury accident over the holidays, let Brown Moore & Associates help you seek compensation. You may feel embarrassed or guilty that you were hurt in a personal injury accident at your friend’s house during the holidays, but you could be severely hurt without knowing the extent of your injuries. Keep in mind that your friend has a responsibility to you to make sure that you are safe when at their home. Your friend should also have homeowner’s insurance which can be used to cover the costs of your losses. If the host failed to take proper care of their property or did not warn you about a dangerous area, then the host may be liable in your personal injury case. A personal injury attorney in Charlotte, North Carolina, can help you seek compensation from your friend to pay your medical bills, lost wages and any pain and suffering you endured because of your injuries from the personal injury accident. To prove the dangers at your friend’s home, you need to take photos of the neglected area that caused your personal injury. This will prove valuable in establishing fault in your lawsuit and help to get you the compensation you deserve. You will also want to get the contact information of any witnesses that saw your personal injury incident. They can support your account of the accident and help prove that your friend was negligent in their actions and this caused your injuries. Be sure to speak with a personal injury attorney in Charlotte, North Carolina, immediately after your accident. They can advise you on your legal rights and work to build a case against the host that caused your injuries. They will work to negotiate a settlement with the insurance company on your behalf and if necessary, take your personal injury case to court to get you the maximum compensation you deserve. How Long Do I Have to File a Lawsuit After a Personal Injury Accident in Charlotte, NC? You need to file your lawsuit quickly after a personal injury accident in Charlotte, North Carolina. The statute of limitations outlines that all personal injury cases need filing within three years from the date of the accident. Failure to file your personal injury lawsuit within this timeframe will cause your case to be dismissed, preventing you from receiving any compensation or financial recovery for your personal injuries. A personal injury attorney in Charlotte, NC, will ensure your lawsuit is filed timely so you can get the best possible recovery. This can allow you to move forward with your recovery without worrying about the burden of medical bills and time lost from work. Allow an experienced Charlotte personal injury attorney to help you with your personal injury case. When injured in a personal injury accident in Charlotte, NC, you need the help of a lawyer that you can count on for your case. The personal injury attorneys at Brown Moore & Associates, PLLC can help. They will support you throughout your suit and provide you with the legal counsel you need from start to finish of your personal injury case. Contact us today to inquire about setting up a consultation.